*Please enroll me in email news, updates, and offers about the Harry Potter: Hogwarts Mystery game. 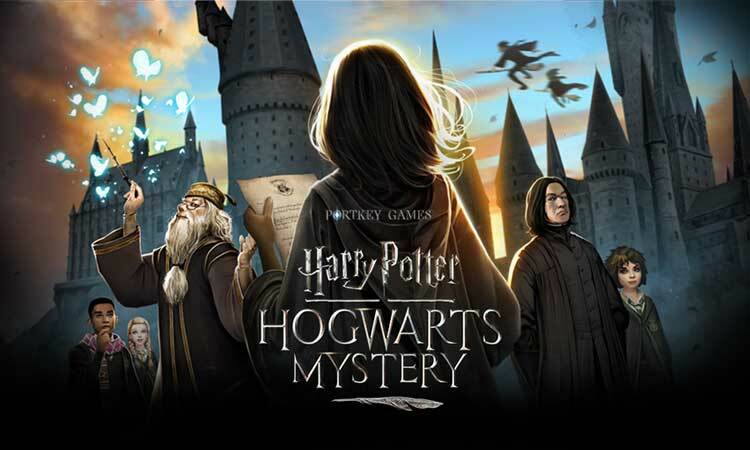 Get ready to begin your Hogwarts story where you will be able to attend Hogwarts School of Witchcraft and Wizardry! Progress as a student through all seven years at Hogwarts, and learn to master everything from flying, Transfiguration, potion brewing and more! Are you a brave Gryffindor, an ambitious Slytherin, a witty Ravenclaw, or a loyal Hufflepuff? In Harry Potter: Hogwarts Mystery, you will be able to select the house you feel you most identify with. Attend classes at Hogwarts and learn to cast spells, brew potions and more! Brew potions under Professor Snape’s critical eye, master Transfiguration with Professor McGonagall, and learn Charms from the esteemed Professor Flitwick. This is your chance to finally become the witch or wizard you aspire to be! Throughout your journey at Hogwarts, you will meet many new and familiar faces, such as Bill Weasley and Nymphadora Tonks. Bond with your housemates and fellow students, compete for the House Cup, and go on exciting quests and adventures!